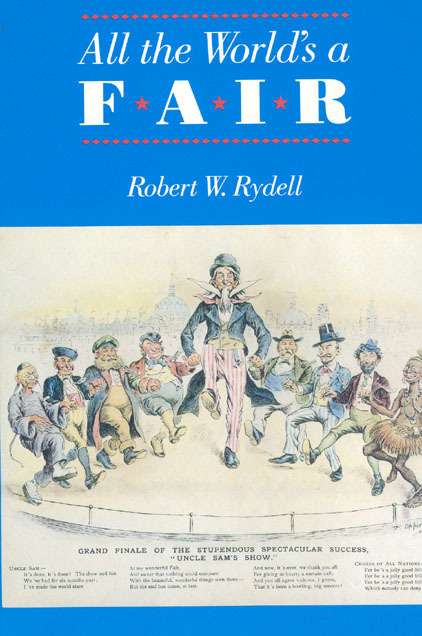 Robert W. Rydell contends that America’s early world’s fairs actually served to legitimate racial exploitation at home and the creation of an empire abroad. He looks in particular to the "ethnological" displays of nonwhites—set up by showmen but endorsed by prominent anthropologists—which lent scientific credibility to popular racial attitudes and helped build public support for domestic and foreign policies. Rydell’s lively and thought-provoking study draws on archival records, newspaper and magazine articles, guidebooks, popular novels, and oral histories. The Exposition as a "Moral Influence"
"And Was Jerusalem Builded Here?" 4. The Trans-Mississippi and International Exposition, Omaha, 1898: "Concomitant to Empire"
"To Celebrate the Past and to Exploit the Future"